A good warranty is an important consideration when choosing a product. Warranties protect you from defects made by the manufacturer. It’s also their way of reassuring you that you won’t have to worry if anything unexpected happens. Looking at it from another perspective, comprehensive warranties are a sign of total confidence from the manufacturer in their product. After all, it means that they made sure that their product wouldn’t have any defects. Rogers Roofing, Inc. is the roofer Chicago and Northwest Indiana homeowners trust to provide them with top-notch products. We only offer brands that have strong warranties, as these are sure signs that the product will offer value to your home.. The products we install are built to last and provide you with many years of service, which is why we chose CertainTeed. 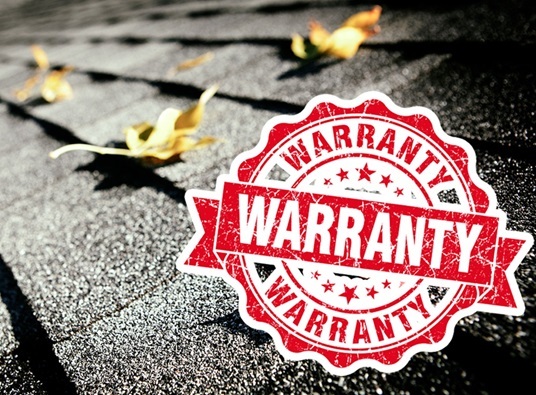 An Enhanced Lifetime Warranty backs shingles from CertainTeed, protecting you against manufacturing defects, even ones that other manufacturers don’t cover. In addition, you are further protected with 10 years of non-prorated SureStart™ protection, during the critical early years of your roof. James Hardie® products are specially formulated to withstand Midwestern weather conditions without losing their color or beauty. The performance and durability of their product is their top focus, which is why they offer great warranties. James Hardie provides a 30-year limited warranty against factory defects. If their product is found defective within that period, they can repair or replace the defective part or reimburse you for up to twice the original retail cost. Marvin Windows are an excellent choice for your replacement window project because of their energy-efficient features, exclusive Ultrex® fiberglass material, and elegant design and color options. With Marvin Windows, you are protected with a lifetime limited warranty that covers manufacturing defects of both the frame material and the window. If found defective, Marvin Windows can offer to repair, replace, or refund you the cost of the product. We believe strongly in offering our customers first-class siding, window replacement and roofing in Evergreen Park IL. From the variety of beautiful shingles that CertainTeed offers, the tailor-made weather protection system pioneered by James Hardie, and the energy-efficient windows provided by Marvin Windows, your home deserves products that will enhance it and make it a better place. These leading brands also provide strong warranties that ensure your peace of mind, guarding you and your home from anything unexpected. Give us a call if you would like to learn more about the products we offer, and our services.